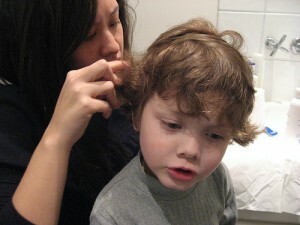 Lice, the bugs themselves are off-putting and unpleasant to have. It feels like a poor reflection of yourself. Sadly you cannot just get rid of them yourself with no skills. Instead you need to a friend or loved one to use a special comb, designed to remove the lice and nits from the hair. Make sure to comb small sections of the hair at a time. Missing a single section of the hair can lead to a re-infestation, so its very important to preform several treatments. Attempting to handle a hair lice problem on your own is a fool’s bet. Chances are you will never be able to get all of the eggs out without at least a second set of eyes looking at all of the portions of your head you never see. That second set of eyes can also comb through your hair removing the little eggs and the bugs themselves sure to be making a home on your head. The buddy system it turns out is not just for swimming anymore. Chances are if you have lice a friend or family member also has it. Why not take a chance to manage the problem together? As someone who has raised a handful of adorable children, I always feared the day they were to come home early from school because of an itchy scalp. For many knowing adults, this is the telltale sign that their child is a victim of head lice. 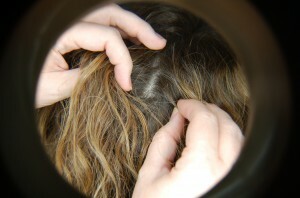 Lice are very small parasitic creatures that feed on the scalp of its victims. While feeding they secrete saliva that causes the typical itching associated with lice. So how do you get rid of lice? There are a few lice shampoo treatments that have powerful insecticides that can kill lice and their eggs but such shampoos have potential negative side effects. The best options involve a lice comb designed specifically to get rid of the little parasites and a trained clinical staff that will methodically go through your child’s hair. These two options are the most effective ways to ensure total lice removal. Besides that, the trained physicians will be able to give you a few lice prevention techniques to make sure your child has less of a chance of being a victim of lice. While prevention is the key when lice are involved, once they have dug in there are ways to get rid of them.